Nowadays, digital marketing has become an essential part of marketing strategies for all kind of businesses irrespective of their size or volume. The whole world is becoming digital with the increasing use of mobiles, cell phones and etc. With the advent of globalization and liberalization, it has become tough for the companies to get attract the people across the world to buy their products and services because the consumers have become the king of the market and they have a lot of options. It has become difficult for companies to get loyal customers and improve their sales. There are innovating several marketing strategies to improve their sales and digital marketing tools are making their work easy. Today, it is impossible for any company to survive or grow without getting online whether it is small or big. 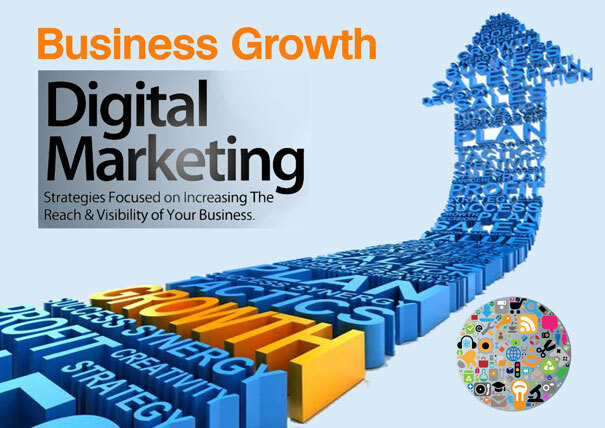 It has been seen that even small businesses have got good growth by implementing digital marketing strategies. The companies all over the world are using multiple digital channels for promoting their products or to get their audience informed about the best features of their products and services. According to a survey, there is a 137% increase in the use of multichannel digital marketing backed by a 500% increase in the use of multi-digital channels by brands. If you have started a business and want to improve it then you need to hire an online marketing agency which will take care of all those steps which are needed to get the growth. These steps may include designing a website for your company along with implementing various digital marketing strategies to improve business brand visibility, increase traffic to your website and sales. The digital marketing strategies can be easily followed and understood by the students of digital marketing course very well. Digital marketing strategies help the business owner of the small business to achieve the desired results with limited capitals. It has the ability to generate higher revenue by investing low cost. The approach of digital marketing keep focus to gain the attention of mobile or cell phone users as their worth or increasing number could not be ignored as the companies can get more and more leads by targeting this group. The use of digital marketing tools including social media sites help the companies to develop customer’s interest towards their products which ultimately improve their sales. Digital marketing strategies implemented by small businesses help them to expand the visibility of their product and services to a larger section of people. 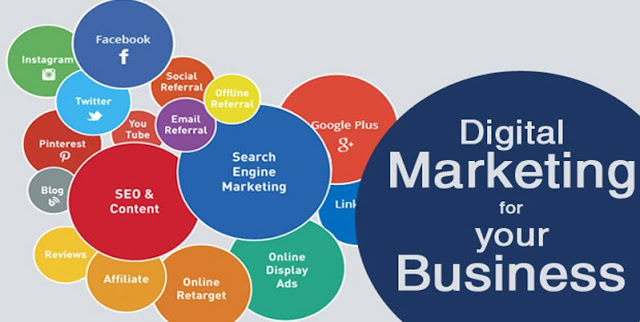 Digital marketing strategies help your company to update the customers with new or latest features of your business and you can attract more and more customers by publicizing your upcoming products and services and for that, you can give small and attractive small descriptions of your products. The use of the internet is increasing day by day for purchasing or searching for the products. They are able to purchase a wide range of goods from online and by making proper use of digital marketing channels you can maintain the competition among small, local or large businesses and create a space for your products. The use of digital channels will help you to compete with larger organizations and keep you at par with competitors. It will ultimately prepare you for the internet of things such as smartphones, tablets, eyeglasses all projected to be 26 billion gadgets interconnected in a global online ecosystem. Digital marketing channels will help you to earn higher revenues and its use is cost-effective in comparison to other channels. The above mentions facts are not only the reasons behind using digital marketing channels to get the growth even if your business is small but also they indicate the benefits your business can get after using digital marketing channels. 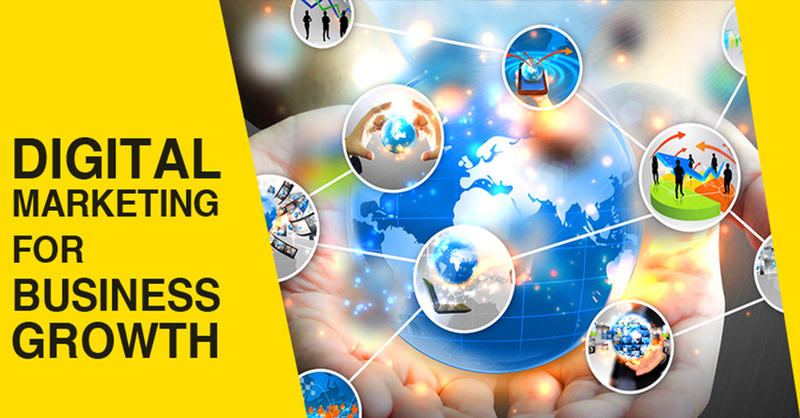 Many people think that using digital marketing channels are tough but it is not reality. In fact, using digital marketing channels for promoting the goods and services are quite easy and very much cost effective. It also saves your time and provides you with the best result in a very limited time. The digital marketing course can better describe the use and benefits of all this to anyone who is interested and wants to get the benefits. According to a survey 90% of consumers use the internet to make their searching easy and fast and about 80% use to do purchasing online and this data is important for the companies which want to improve its sales as this is the moment when you can get your target audience attracted to your products by providing them relevant information in a limited time and in a very catchy and attractive way. When it comes to small businesses, it’s difficult for them to compete with large organizations for ad space as they have the limited budget but by using digital marketing tactics they can get best results even in their limited budgets and it has been proved in several examples. With the right strategies of digital marketing and their effective implementation, small businesses can increase their reach and can get conversions in just a matter of months. 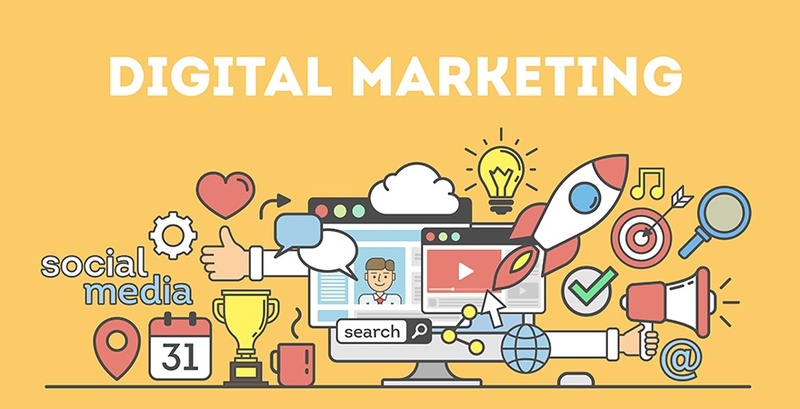 The digital marketing tactics such as pay-per-click, display, and social media display are able to produce magical and quicker results and also it is easy to measure the results produced by these channels. By measuring the results produced by digital marketing channels you can finally get an insight that which tactics are working and which is not and this will help you to improve your future campaigns. If you belong to the field of digital marketing or digital marketing course then you might know how to make campaigns and how will it work. These campaigns, when posted on social media, get you the higher number of conversions. The use of digital marketing channels also allows you to make effective use of your resources with the allotted budget. HOW TO GUIDE AFFILIATE MARKETING?